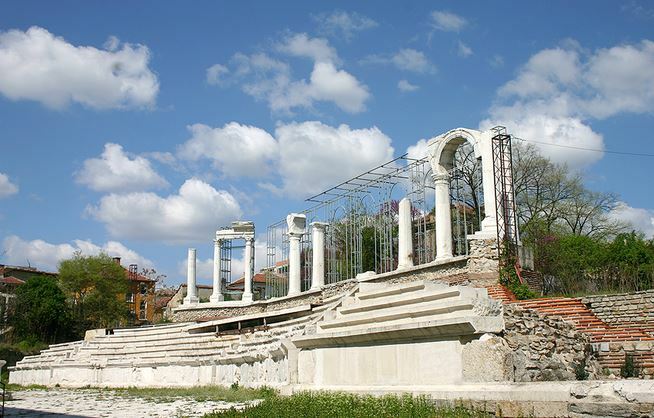 The city of Stara Zagora in Southern Bulgaria has moved to promote its top archaeological sites – its Neolithic Dwellings Museum and the Augusta Traiana – Vereia preserve, the latter notably featuring a preserved Ancient Roman forum located amidst the contemporary urban downtown. The Regional Museum of History in Stara Zagora and Stara Zagora Municipality have presented the Neolithic Dwellings Museum and the archaeological preserve Augusta Traiana – Vereya during the 32nd Vacation and Spa Tourism Expo in the Bulgarian capital Sofia with a stand designed in the tradition of Ancient Roman architecture, announces the municipality. Stara Zagora’s newly restored archaeological preserve Augusta Traiana – Vereia was unveiled in June 2014. It was carried out with EU funding from Operational Program “Regional Development" with a grant of almost BGN 4.4 million (app. EUR 2.25 million). The preserve encompasses the Ancient Roman forum of the city with an area of 7 decares (app. 1.7 acres), including parts of the fortress wall, the fortress’s western gate, the city forum with its amphitheater auditorium with 1 300 seats, the city square, the Roman thermae (public baths), the Roman main street going in the east-west direction, known as the Decumanus maximus, an ancient pool, and Ancient Roman mosaics. The municipality and the history museum have been consistently seeking to promote the city’s impressively rich heritage from the Neolithic Era, Antiquity, and Middle Ages as a destination for cultural and alternative tourism. The Stara Zagora Neolithic Dwellings Museum features “Europe’s best preserved homes from the early Neolithic period" dating back to the 7th-6th millennium BC. Stara Zagora’s other major archaeological attraction – the Augusta Traiana – Vereia preserve – features the remains of the Ancient Roman city of Ulpia Augusta Traiana founded by Roman Emperor Trajan (r. 98-117 AD) after whom it was named – building upon a previously existing Ancient Thracian settlement called Beroe. The city was later conquered by the First Bulgarian Empire and named Boruy, and it became known as Vereia after its subsequent conquest by the Byzantine Empire. It saw its greatest urban development later under Roman Emperor Marcus Aurelius (r. 161-180 AD). Perhaps its most notable site preserved to this day is the Ancient Roman forum, among a large number of other structures. 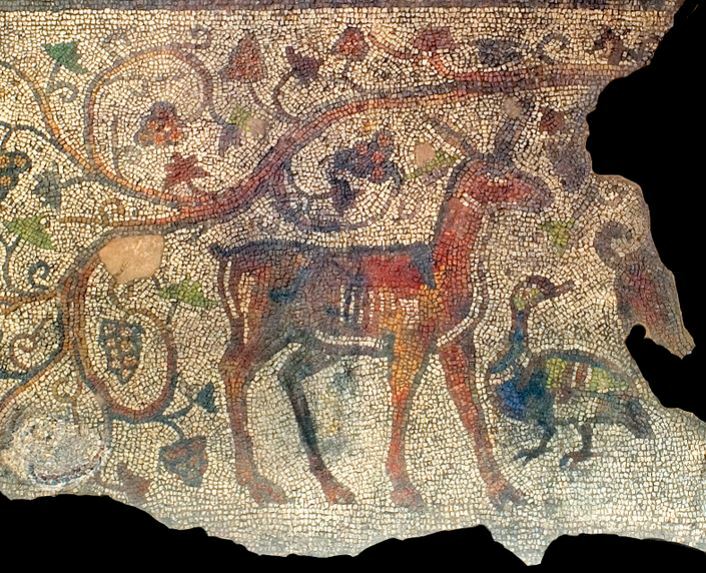 Well preserved late Antiquity mosaics from Augusta Traiana can be still be seen today. Khan (or Kanas) Tervel (r. 700-718 AD, 700-721 according to some sources) was the emperor (bearing the Bulgar title khan or kanas) of Bulgaria at the beginning of the 8th century. He was the second ruler of the so called Danube Bulgaria, i.e. the First Bulgarian Empire (680-1018 AD), after the center of the Bulgarian state founded in 632 AD by his grandfather Khan Kubrat in what is modern-day Ukraine shifted towards the Balkan Peninsula. In 705 AD, Byzantine Emperor Justinian II named Bulgaria’s Khan Tervel Caesar, the first foreigner to receive this title. Khan Tervel was probably a Christian like his grandfather Khan Kubrat and potentially his father Asparuh. His reign is known first and foremost for two major developments. First, in 705 AD, Tervel helped deposed Byzantine Emperor Justinian II regain his throne; as a payback, Byzantium ceded to Bulgaria the region then known as Zagore, which is the area around today’s city of Stara Zagora. This was the first territory south of the Balkan Mountain in what is today Southern Bulgaria that was formally obtained by the Bulgarian state which at the time included the territories on both sides of the Lower Danube. Second, in 717-718 AD, Khan Tervel’s Bulgaria intervened during Constantinople’s siege by the Arabs from the Umayyad Caliphate on the side of Byzantium soundly defeating the Arabs. The Constantinople Battle halted what was a major Muslim invasion of Europe. It is likened in importance to the Battle of Tours (or Battle of Poitiers) in which the Frankish King Charles Martel defeated the Umayyad Caliphate’s second attempt for a land invasion into Europe. The victory at Constantinople has earned Khan Tervel the title of “defender of Europe" in later historical accounts.